Recorded September 5, 1983, in the concert hall of The National Danish Radio. 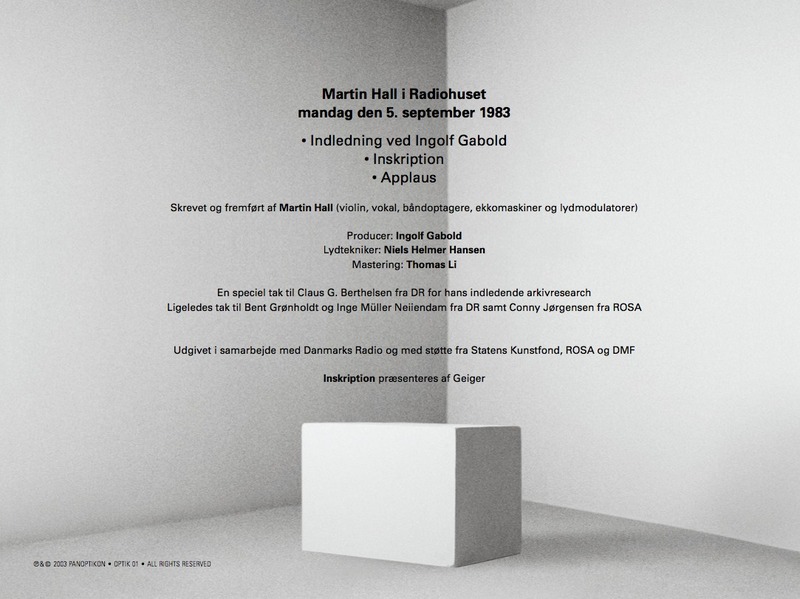 Transmitted live on National Danish Radio on September 5, 1983, Inskription was a scandalous, soon to become legendary event performed by a merely 20-year-old Martin Hall. 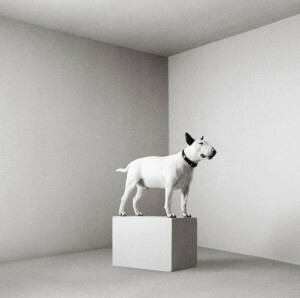 Using only vocals, tape recorders, violins, sound modulators and echo machines the performance is still regarded as a highpoint in Danish avant-garde. In 2003 – 20 years after the night of the concert – the recording was released in a remastered cd-version. 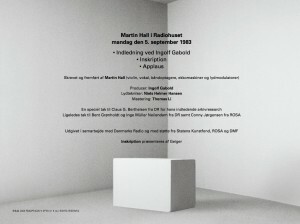 The performance took place in the concert hall of the National Danish Radio in relation to the National Fund for the Endowment of The Arts’ yearly grants to new Danish talents. Martin Hall was as one of the four recipients invited to perform at the occasion. Being given the grant for his work in the field of experimental electro-acoustic music, the young composer shocked the audience completely by generating a noise level never before heard on the premises. When the Danish newspaper Information (The Danish equivalent to The Independent) reviewed the concert a few days later, the headline simply ran: “Sound spanking”.